There are so many cute board books for little ones. I recently had a friend who was pregnant and I wanted to make her something very special for herself and the baby. I wanted it to be something unique and elegant, but sturdy enough to withstand little hands. I decided to make my own counting book as a numbers board book for little Ava. I first took a display album that normally would stand up and be looked at like you would a flip chart. I cut the back stand off the chipboard cover — so it only had a front and back square cover. 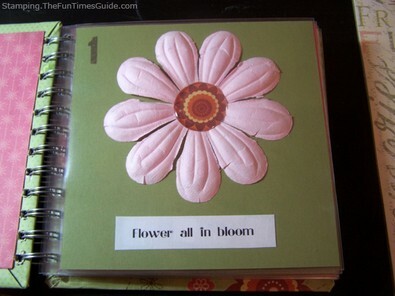 I purchased mine from Close To My Heart, but have seen them in local scrapbooking stores as well. The next step was to cover the front and back of the album with paper and design the front and inside covers. 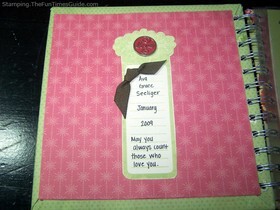 I then tied several pieces of coordinating ribbon to the spirals on the side of the book. 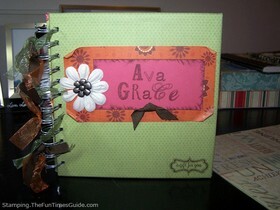 I made the inside of this numbers book as a little dedication to Ava. 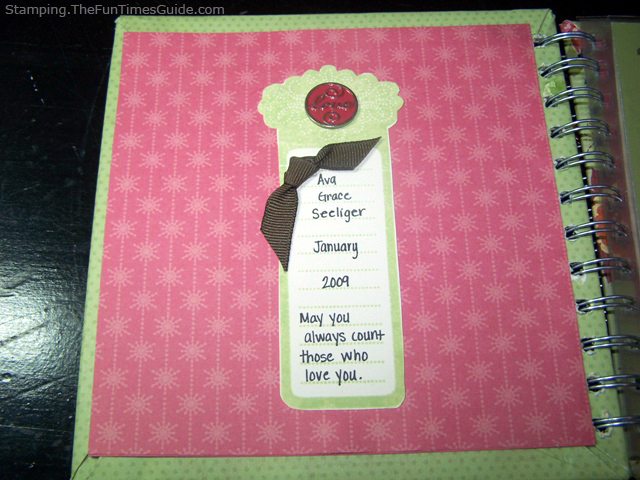 It says “May you always “count” those who love you.” There are many great scrapbooking quotes that can be added to this part of the project as well. 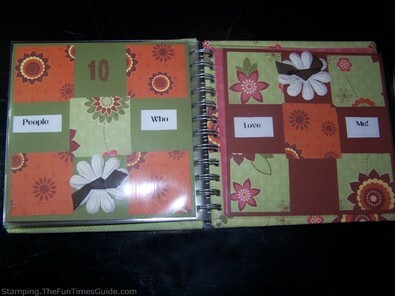 I then began to design ten 6×6 layouts that would be on each page of this counting book. I wanted to showcase each number 1 through 10 and have a little rhyme at the bottom for Ava to learn, or for her mother to read to her. 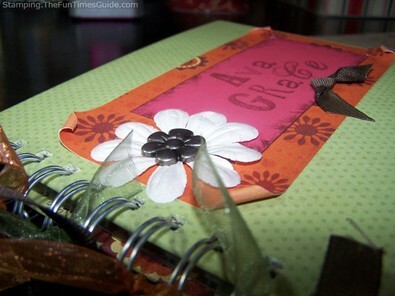 On each page, I also stamped or embellished the number of whatever was the subject of the page. So, some pages have texture and some pages have pictures of common childhood objects or toys — which increases what Ava will learn as she reads this counting book. I am very fond of the last page. Number 10 says “10 people who love me” and I left 10 open spaces for her mom to cut and paste pictures of her immediate family. That way, even if grandma and grandpa live far away (as my friends’ parents do), little Ava will grow up recognizing their faces. A Cherished Gift, That’s Practical Too! Overall, this numbers book was a very fun project. I think it is something Ava and her mom will cherish forever and I am also sure it will get her through many sermons at church! I hope you will create something sentimental for someone you love today.